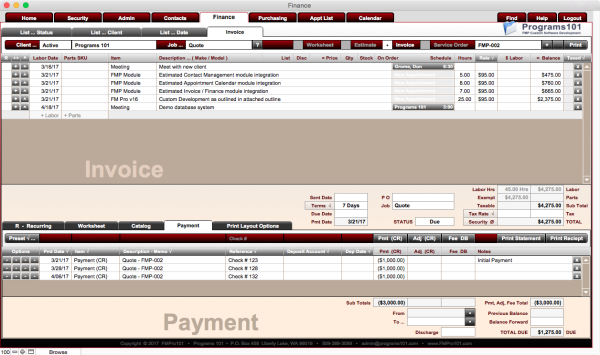 As custom software developers ... we pride ourselves in delivering powerful custom software with a user friendly design. We strive to make the software development process quick and painless with no surprises … to achieve your business goals and exceed your expectations. 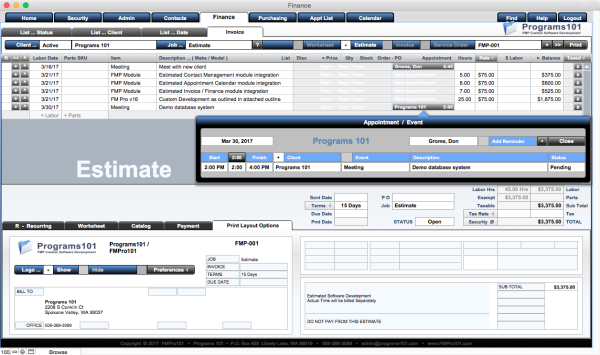 We can design and build a custom software program to fit your schedule, budget, guidelines and timeline. We strive to make the development process quick and painless with no hidden surprises ... to meet your goals and exceed your expectations. We can modify existing FileMaker database programs, develop completely new custom software solutions or build a new custom app starting with our advanced database modules to help you save on custom software development costs. ​We're always here to help you maintain your custom software solution with free tech support, consultations and additional modifications as your needs arise. This is the preferred method of software development as it removes the burden for you to specify every exact detail of the final program. You are free to make changes as you see the software development progress. We invoice you periodically for actual development time only and conclude work when you feel the custom software program is completed to your satisfaction. As development proceeds, you see your program take shape and are free to add any features or change functionality as you desire. We work with you closely during development to ensure your program is optimized for your business. This optional method of software development requires a detailed outline of the entire finished project. Any additional work not specifically included in the original quote would be billed separately at the same labor rate.